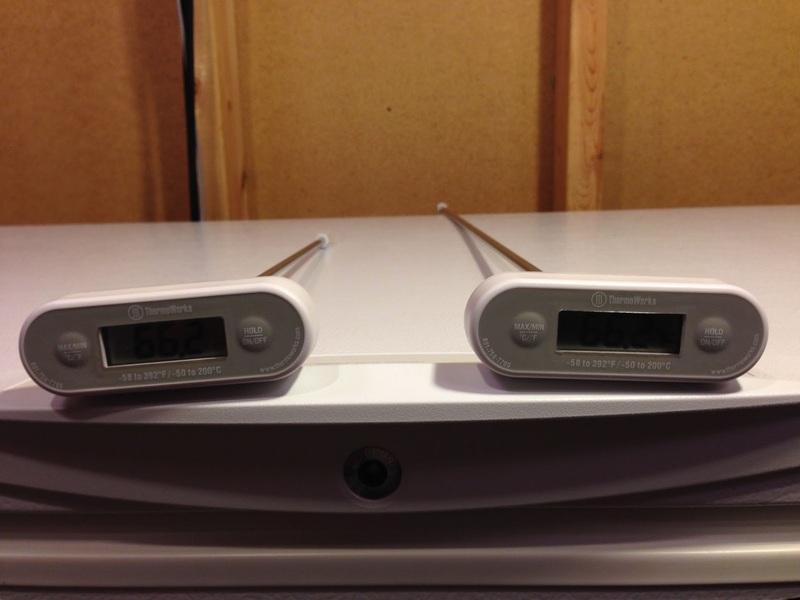 A look at 24″ and 12″ ThermoWorks Long Stem Digital Thermometers. 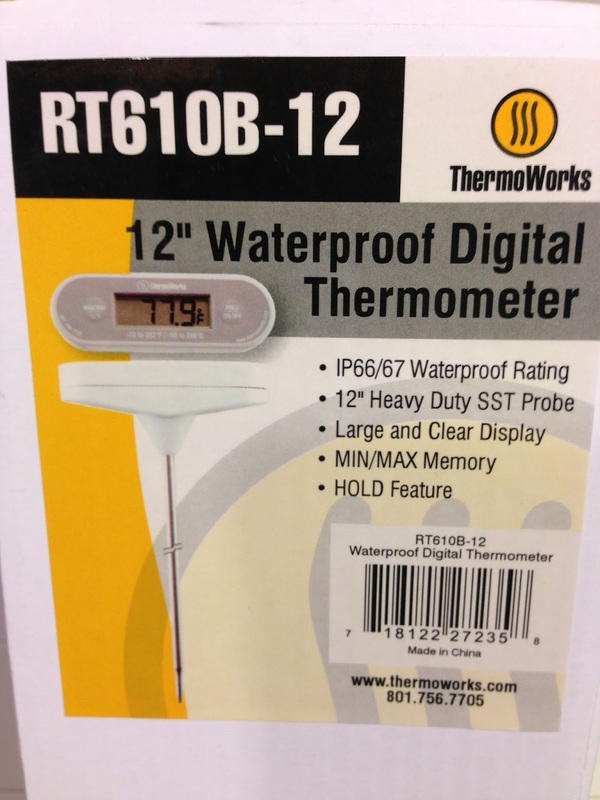 Front of the 24″ Thermometer RT610B-24 Box. Other than length, the 12″ and 24″ models have the same specifications. Side by side. 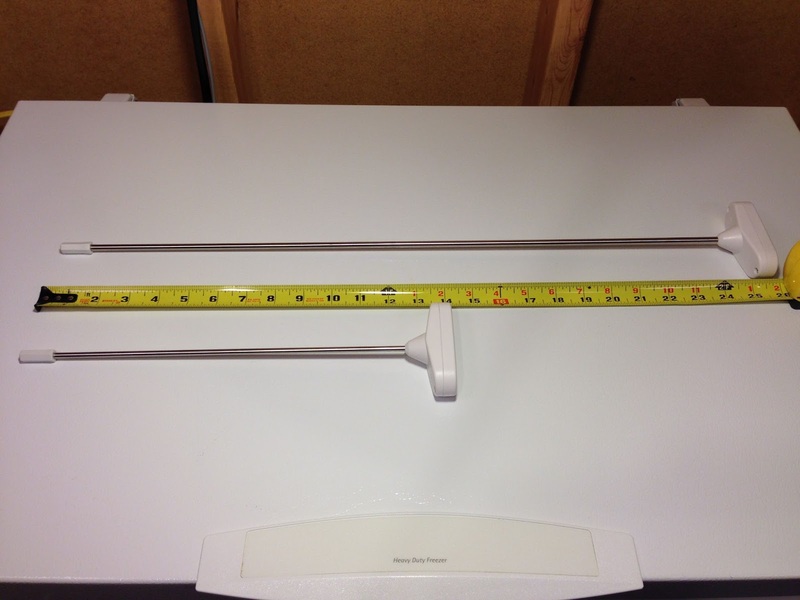 The 24″ Thermometer ends up being… massive. Close up top view. 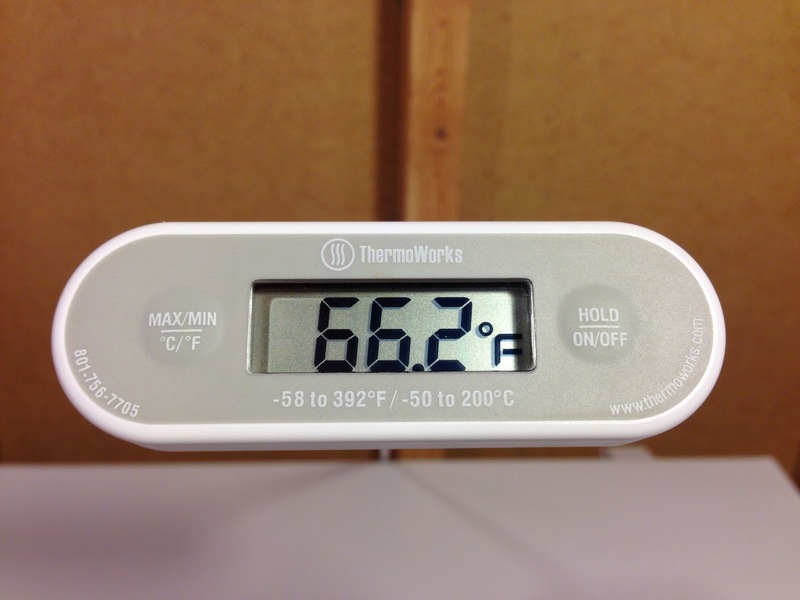 These thermometers have a quality feel. 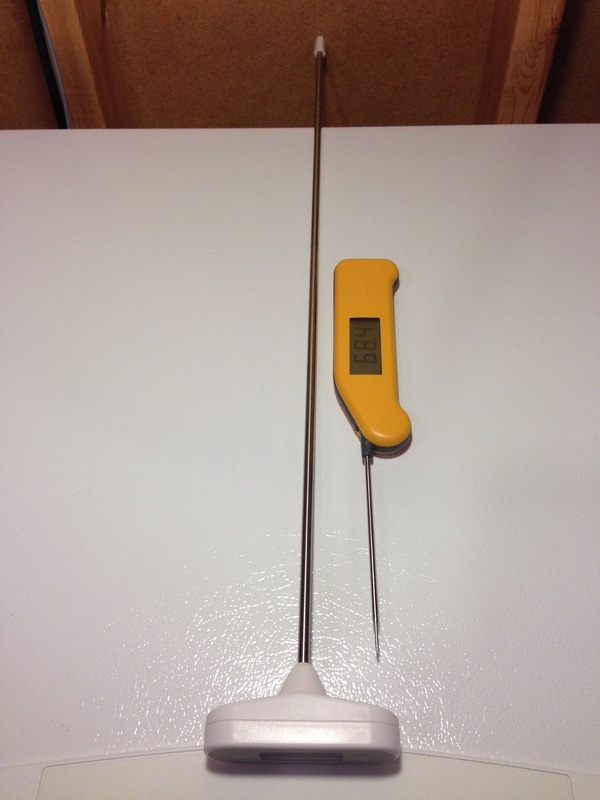 Thermapen temp probe (bottom) next to the 24″ temp probe (top). 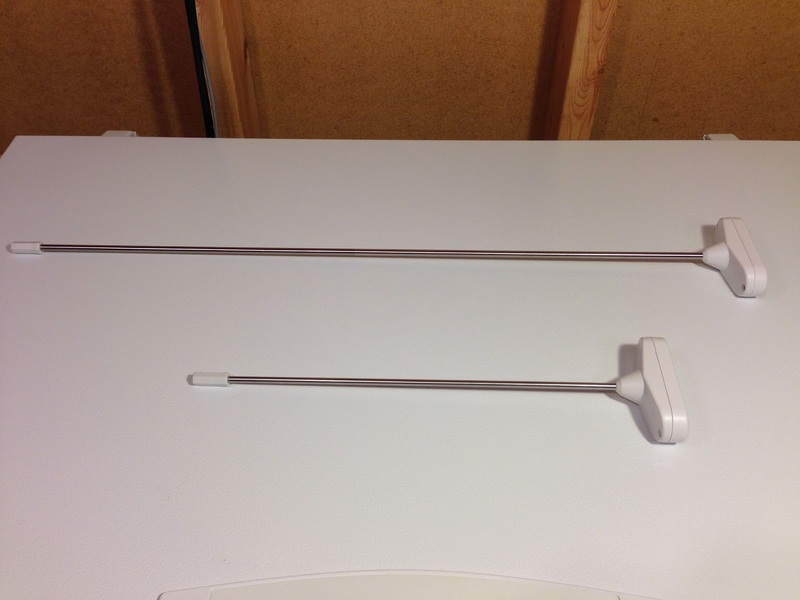 The probe on the 24″ is about… 24″ long, maybe a little longer. 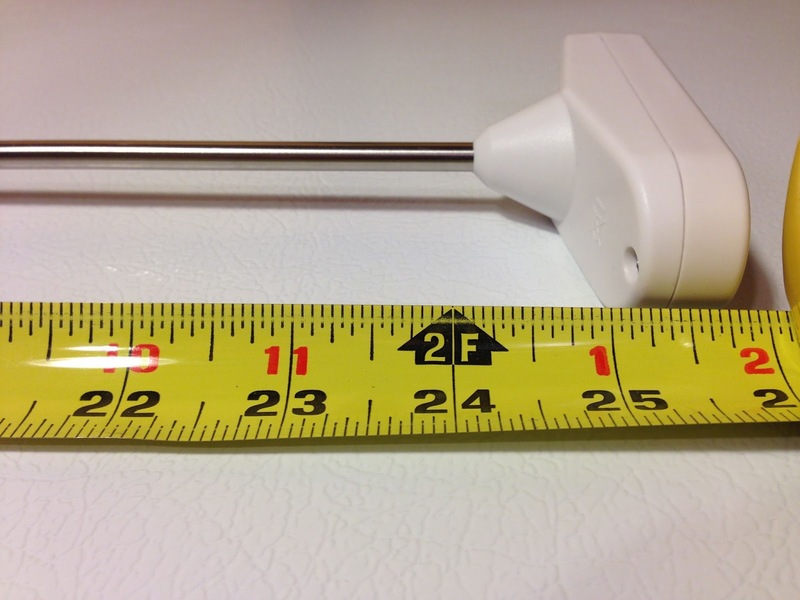 The probe on the 12″ is about… 12″ long, maybe a little longer. 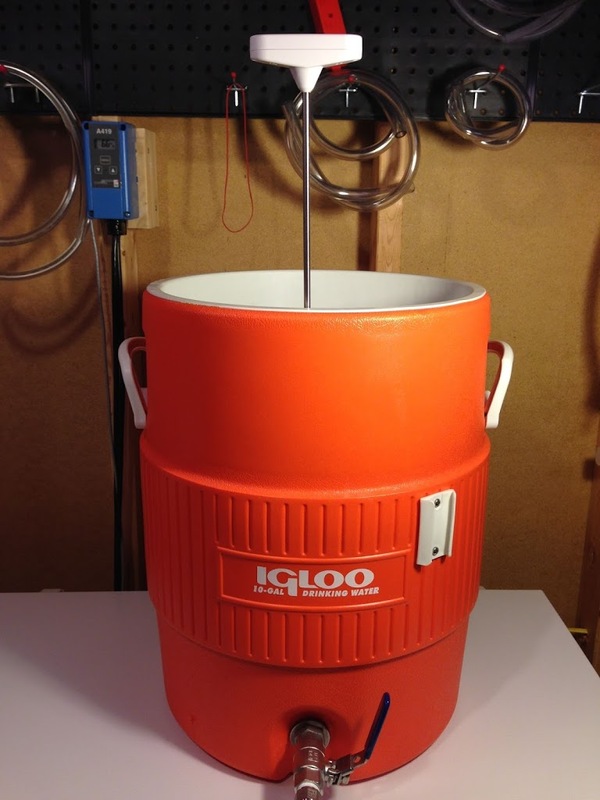 The 24″ model in my Igloo 10 gallon Cooler based mash tun. 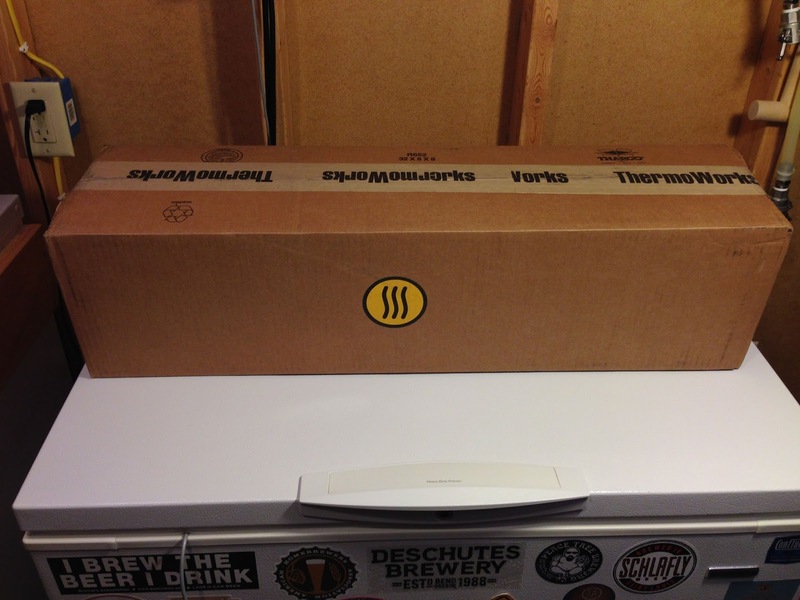 So… you can pretty easily see that the 24″ is long enough to be used in my mash tun. 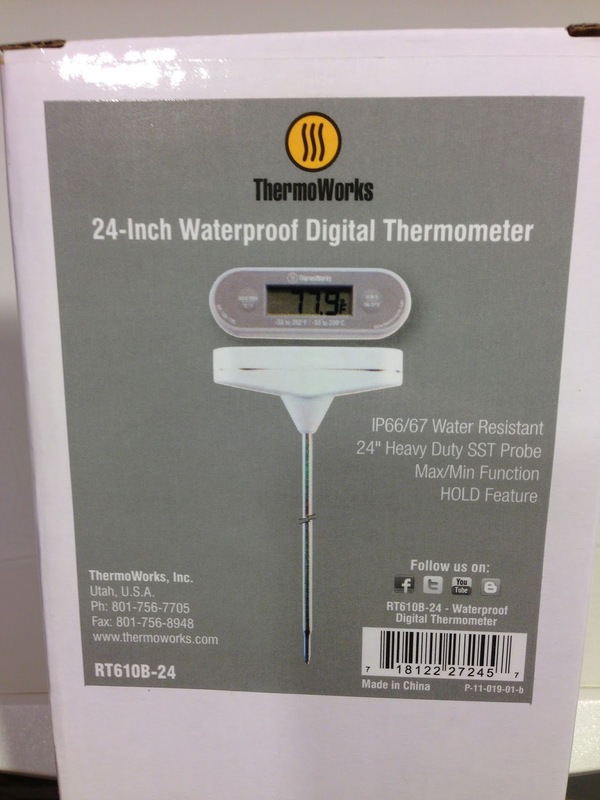 This entry was posted in Featured Reviews, HBF Tested, Reviews, Reviews & Top Posts, Thermometers, ThermoWorks on October 23, 2013 by admin. Too bad the accuracy is only +/- 1.9°F. 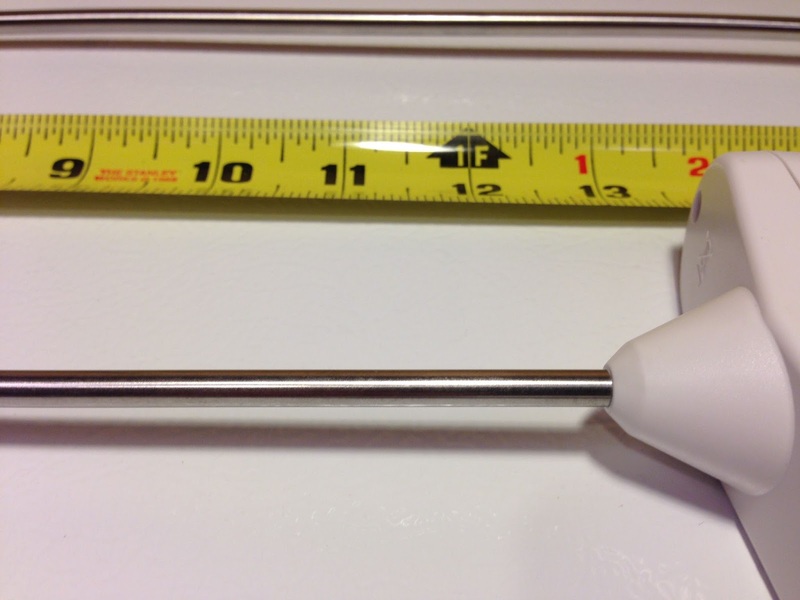 ^There is no law that says you have to insert a 24″ thermometer all the way. Wonder how feasible it would be to drill a hole in the top of the cooler lid and insert the thermometer through to monitor mash temps while it’s all closed up. And, if the 12″ would be long enough to make it to the middle (or so) of the grain bed. The 24″ seems too long for that. That would hurt if you sat on it. 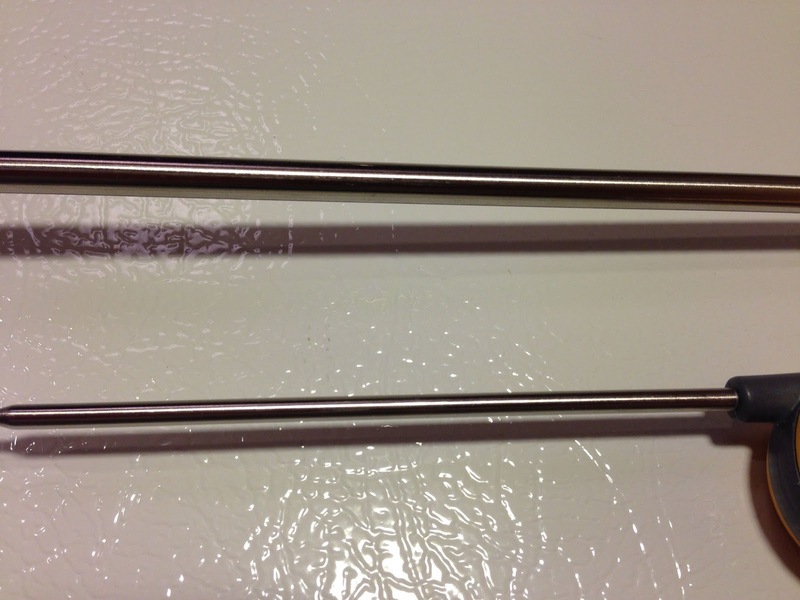 I need a couple new 12″ thermos for my sparge water kettles. 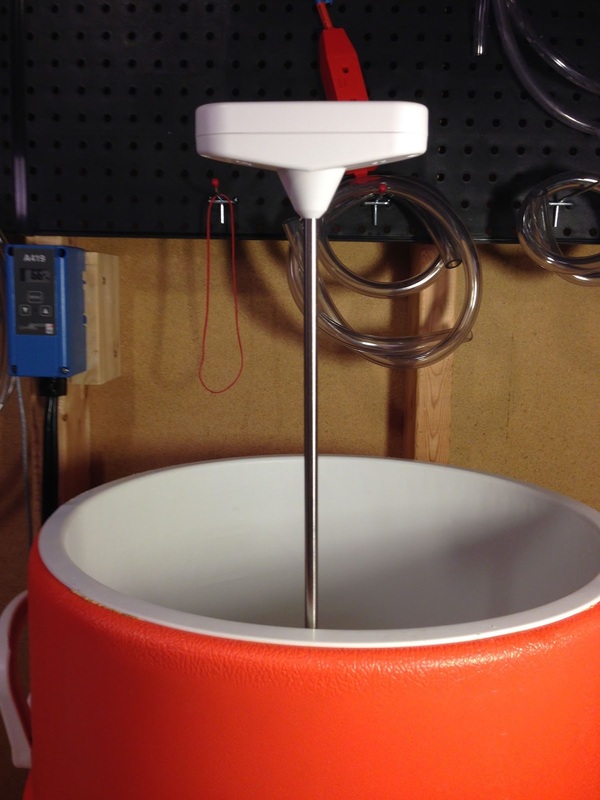 Did the 12″ unit come with a clip to allow it to attach to the rim of a pot? No… it doesn’t have any clips. I’m sure you could rig something up.